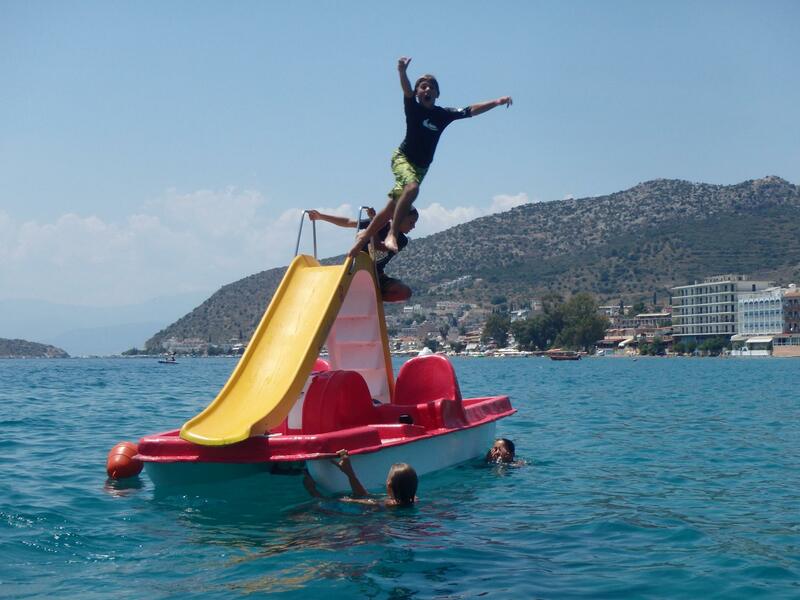 Waterfun Tolo offers rental of sea kayak, pedal boats, motorboat, windsurfing and standup paddleboards. Lessons are offered for windsurfing and stand up paddle boarding for young children and adults. For motorboat excursions a captain can also be provided. We offer guided tours around the small islands in the archipelago of Tolo with Stand Up Paddleboards, kayaks or motorboat. Tours head out for the small island of Koronisi where we walk up to the church, enjoy the view and even take a dive off the rocks. Then the tour continues to the green exotic waters of Romvi island for some swimming & snorkeling to explore sea life of exotic fish and octopus. Minimum of 2 persons per group. 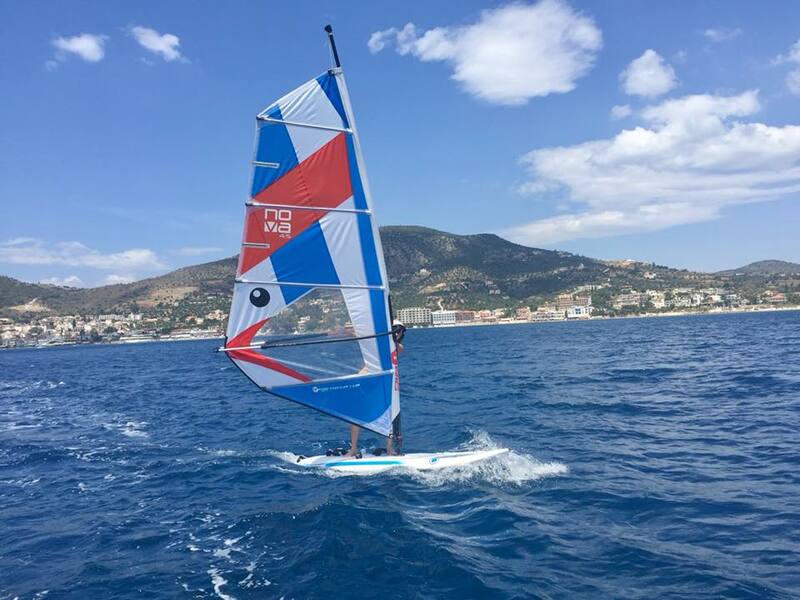 Tolo offers calm wind conditions which are good for learning windsurfing and enjoying smooth riding around the bay and near the islands.. Walk on water and explore the coastline with stand up paddleboards. Smooth wind conditions and calm waters allow you to easily paddle around the bay to the island coastlines. Safe fun for kids and parents. Also available with water slide. 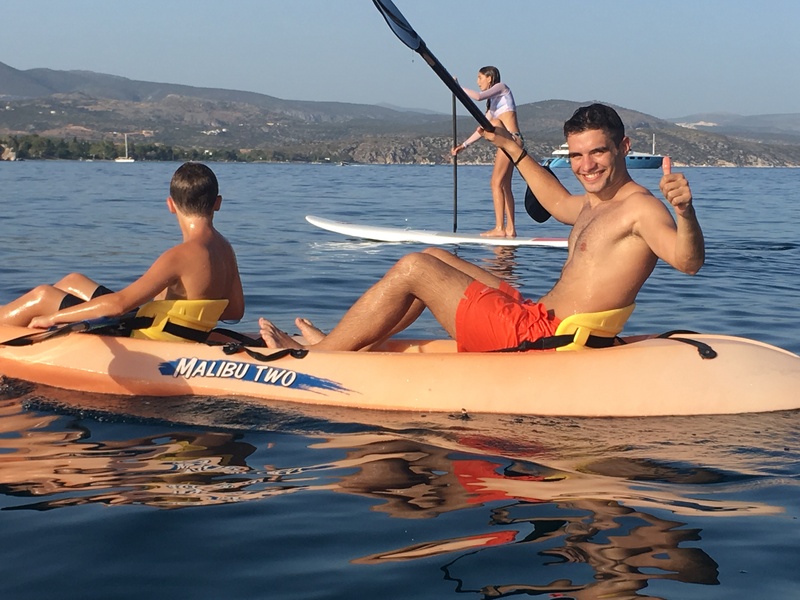 Up to 4 persons can enjoy to rent the pedal boats and take an easy excursion to Romvi island or just enjoy strolling around the water. Get away from the beach and explore the sea. Enjoy the beautiful nature of the small islands and its exotic colors of the small bays by taking the boat out and around behind the islands.